Many borrowers think avoiding the problem will help them avoid foreclosure, this is not the case and will NOT help you in the long run. If you’re going through this difficult time and think you might lose your home to foreclosure then stop now and contact us. Here are a couple of tips to help you avoid foreclosure. First and foremost you should remain calm and not panic through this process. 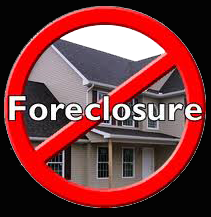 Second step is to call our office and let us assist and explain the foreclosure prevention process to you. Before you give up, give us a call; you still have options and we will explain them to you so you can avoid foreclosure. We know that one solution does not fit all and that is why we take the time to learn about your situation and explain all of your options. We will coach you through the process of learning about foreclosure prevention and the options available to you. We have helped many homeowners that have fallen behind on their mortgage payments to avoid the pitfalls of foreclosure. Our unique approach separates us from other real estate offices and “foreclosure prevention companies” and is the main reason we are 95% successful in avoiding foreclosure and a foreclosure reporting on your credit report. The excessive number of foreclosure, REO and bank owned properties on the market is an unfortunate indicator of the amount of uneducated homeowners facing this horrible market trend. Most homeowners don’t want to go through foreclosure and they certainly don’t want the negative reporting on their credit; we are here to explain the process and offer solutions that will assist in your decision-making process. Once we understand your situation we may be able to help you stop foreclosure. Whatever you do; make sure you don’t ignore the foreclosure notices; one critical part of avoiding foreclosure is staying in communication with your lender. This is a difficult time but time is of the essence, contact us now and we’ll be happy to discuss your options with you. We’ve all been through hard times, we’re human too and here to help. We’d appreciate the opportunity to answer any questions you have.